It is named for Ralph "Shug" Jordan, Auburn's all-time winningest football coach, and Clifford Leroy Hare, a member of Auburn's first football team. It was first opened and dedicated (and named ‘Auburn Stadium’) on November 30th, 1939, at the Auburn-Florida game that resulted in a 7-7 tie. It is the nation's twelfth largest stadium in the NCAA. 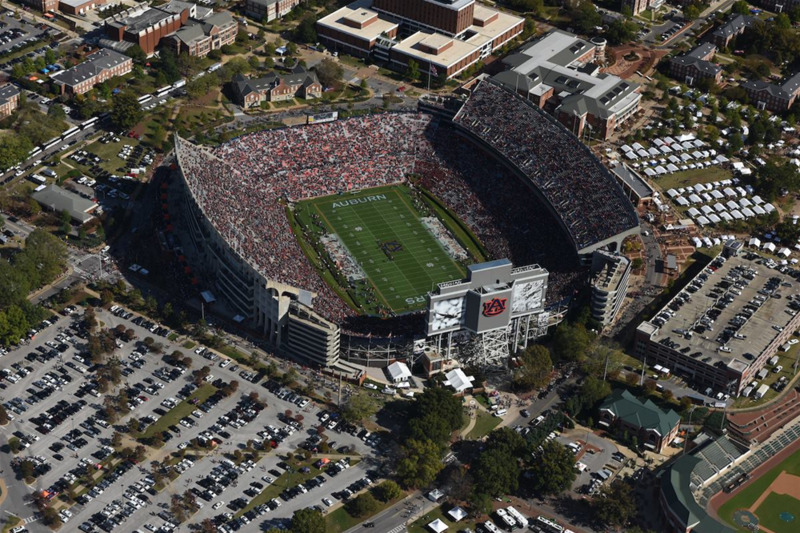 If the Stadium were a city, it would the fifth largest city in Alabama on game days. 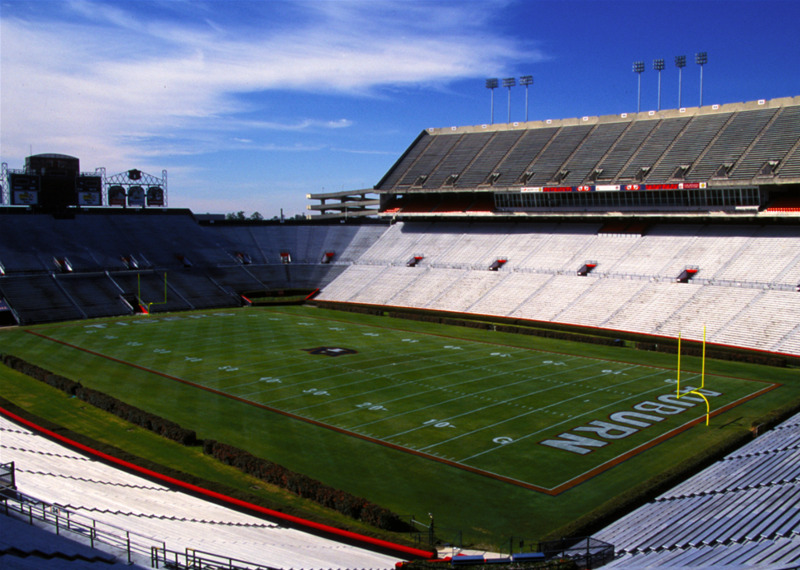 Jordan-Hare Stadium has a capacity of 87,451. The field was named after Pat Dye, Auburn’s football coach from 1981-1992. Under Dye, the Tigers won four SEC championships, including three years in a row. Permanently located on the East side of Jordan-Hare Stadium, statues were created in 2012 to commemorate Auburn’s 3 Heisman Trophy winners: Pat Sullivan, Bo Jackson, and Cam Newton.